Media and Contents: 88 grey resin parts plus 1 A5 sized page with 7 colour photos of a partly completed model in a bubble pack. Advantages: Excellent resin moulding with unbelievable detail both inside and out. Disadvantages: No instructions as we in the hobby know them and no decals although decals are available from the manufacturer. This really is a top notch effort from this relatively new producer. The Humber Scout Car was a British WWII vehicle very similar in set-up to the Daimler Dingo, crew of two, four wheel drive, rear engine and an armoured body. Although slightly bigger than the Dingo and having an armoured roof, it was considered by its crews to be less capable and reliable than the former. 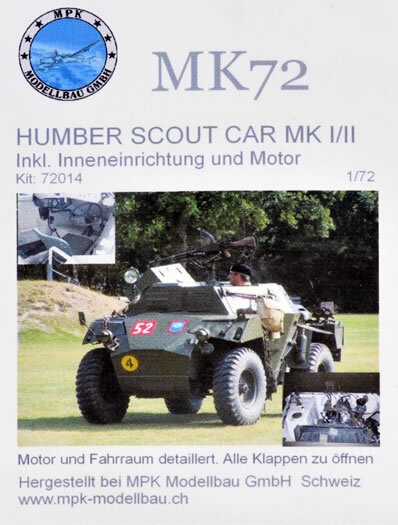 This is the second kit of this vehicle, the first being solid (no interior) and can be viewed or purchased from www.mpk-modellbau.ch along with several other resin models and decals. It comes with no instructions as we know them, just an A5 page with seven colour pictures of a partially built model nor does there appear to be any decals which have to be purchased separately from the above web site. The nose of this vehicle is solid but the fighting compartment and engine bay can be packed full of items if you can identify what goes where. There is a four-piece driver figure with no legs below the knees because of the solid front and a roof mounted Bren Gun with the 100 round drum magazine plus its mounting frame and controls. All of the hatches can be modelled open as indeed can the bonnet to view the motor. There's a heap of stuff to go inside like radios, various boxes, spare magazines for the Bren and even a Thompson Sub-machine Gun plus various bits and pieces to go outside including a rolled up camouflage net. All of this is very nicely cast in grey resin with no pin holes and minimum flash but being a full resin kit will require some experience to get a good result. This model was originally jam packed into a small blister pack with no secondary packing or protection. The sad consequence of this poor packaging is that several parts were broken or missing. 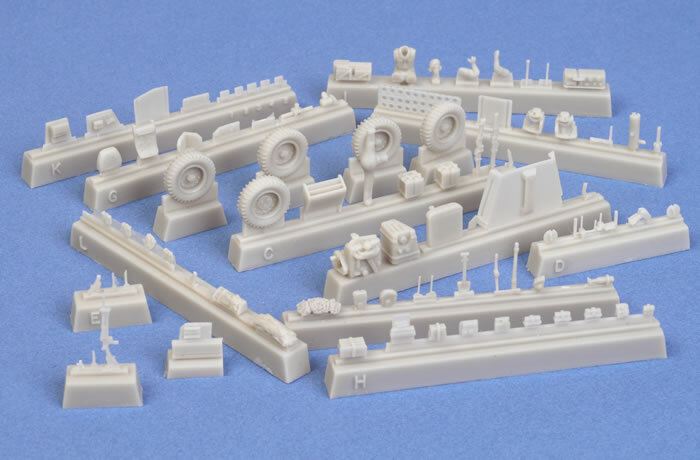 Considering the deliccy of the parts, MK 72 should take as much care with its packaging as it clearly does with its casting. This is a really nice effort with my only criticisms being a lack of true instructions/parts plan and decals not included in the kit. 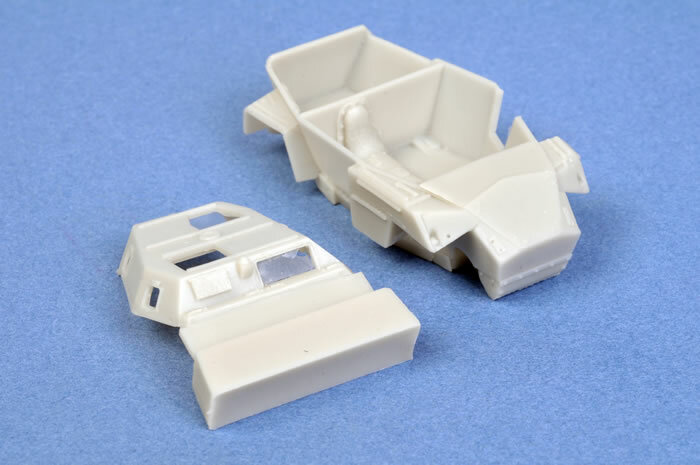 I am told that MK72 is about to release their first full injection moulded plastic kit and if it's anywhere near as good as this one, it will be interesting to see.